Here at Carters we have been very blessed to get to know some dogs that have survived some horrible things in China. 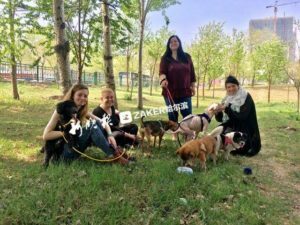 The people that help to get these animals out to safety are amazing This month we have taken into rescue 10 dogs from China. 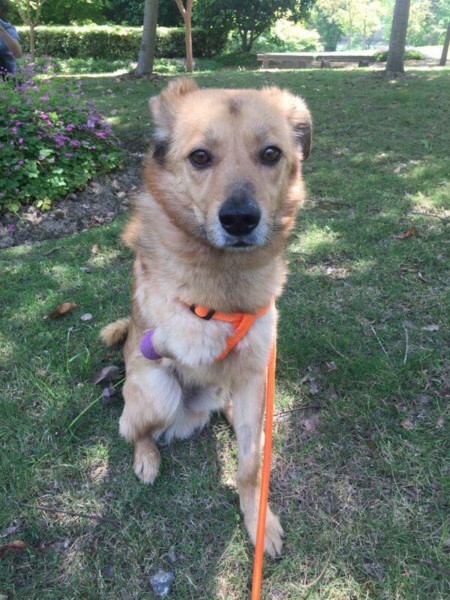 The following is from one of the rescuers working in that country, with a terrific network of supporters, to help these dogs lead a better life. There is an address at the end of this post for those who wish to donate directly to those involved in this very special volunteer effort in China. Please consider donating. Beth from Canada. Truly found where she was meant to help once she arrived in China. Spearheaded the idea of bringing rescues together to get dogs safely to Canada. 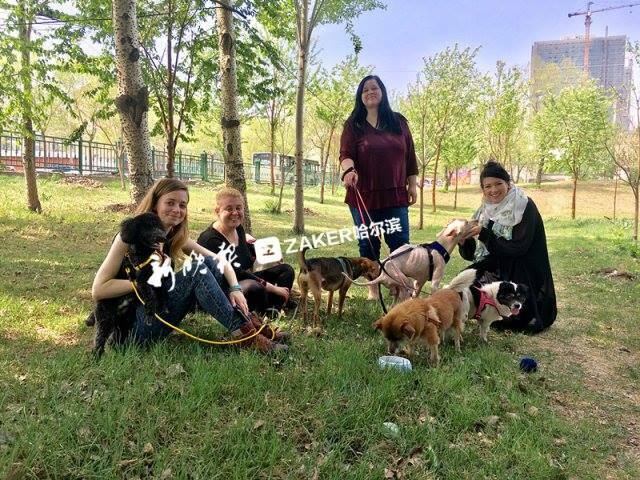 Now helps a few rescue organizations in China find loving, forever homes in Canada, by organizing flights, families/fosters, pick up in Canada, and rescue groups willing to help. Amy, American Chinese, from HangZhou. 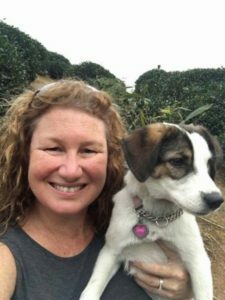 Besides personal rescues, she has focused on sponsoring and helping local rescue groups and shelters, from providing supplies, medical care, and even building shelters. A large part of Amy’s work helps the community to reduce the number of stray dogs and cats through offering free sterilization. These four girls, all based in Harbin, didn’t know each other before becoming a team. All working full-time as teachers, they met through their love of animals and passion to make a difference. By joining forces, forming Animal Rescue SHS, they knew that they would be stronger together, able to do more for the local animals. What started off small scale, with a rescue of 5 dogs in the first month from the slaughterhouse, has quickly become a very large operation, with an averaged of a new rescue every day. In North-East China, the harrowing rescue world is matched with an even more harrowing winter. With temperatures dropping to below -30 degrees in the winter for months at a time, the importance of rescuing these animals and keeping them safe is even more imperative. Cindy from Canada. 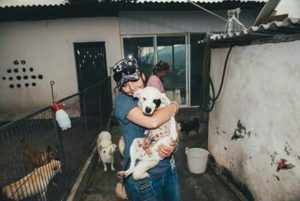 Although she is married with three kids and a full-time corporate job, Cindy still manages to do so much for the rescue world. On only her fourth day in Shanghai, the family’s beloved dog, who had made the long journey with them, was killed. A month later she encountered her first street puppy and that’s where it all began for Cindy. 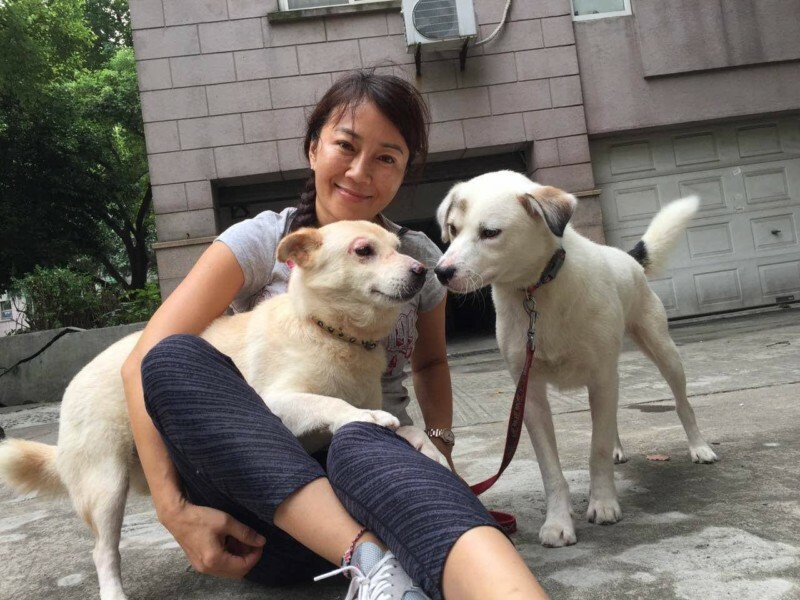 She has continued to independently rescue dogs, as well as supporting many other rescues. Cindy additionally began a charitable initiative called ‘chongaiTAG’, which aims to educate and inform Chinese dog owners about the importance of displaying ownership, and involved the distribution of free “write-on” pet tags, which has been very successful. In Western countries, like Canada, America, or England, it is becoming more and more common for people to consider adopting a new family member, as opposed to buying. Thankfully this means that places like Carter’s Forever Shelter and Rescue exist. Sadly, for China this isn’t really yet the case, it is not so common, but very slowly times are changing. Here in China, the animals are not protected the same way as they are at home, something that is easily sometimes taken for granted. Back at home there is outrage when there is an animal abuse case, and it will likely end in a prosecution of the guilty. This is something that is being worked on here in China, but with a population so dense, in a country so vast, changes obviously take a long time. The accessibility and affordability of purchasing a tiny puppy here is a large part of why there are so many abandoned dogs. University students, living in dormitories of 8 or more, will very commonly purchase one at a night market or from a street vendor, to only realise that they aren’t allowed to keep it, or that the puppy is sick and they can’t afford it. So, they turf it out on the street. Others decide to spontaneously buy a puppy from these places, without any knowledge, find that it is ‘naughty’ and goes to the bathroom inside (because it’s a puppy! ), or is actually very sick. Then, they turf it out. Parvo, Canine Distemper and Canine Corona Virus are everywhere here. Many dogs don’t stand a chance if they are not vaccinated. Sadly the main thing that seems to be lacking, is the knowledge and education about these things we take for granted. When you actually sit and talk to a dog owner here in China, most often than not, they are just like any Western dog owner. They love their dog like their child, they would do anything for it. But, they just perhaps haven’t been shown and taught the same things we have. How positive reinforcement works far more effectively than laying your hand on a dog, how using a lead can save the dogs life in the city, and wearing an identity tag and collar at all times will at least give the dog a chance of being returned if anything happens. Stray dogs and cats are everywhere, no sooner do you pick up one, then you find another one. This alone is a huge never ending battle, but then you add the Dog Meat Industry into it. China’s relationship with Dog Meat goes back a long way. Here it is sold as a delicacy, and at a much higher price than other meats. One of the most upsetting things about this industry, is the belief that the more stress, pain and torture the animal endures, the better the meat tastes. This means dogs are boiled alive slowly, skinned alive, beaten, cut, maimed, and have to endure it for longer than you dare even imagine, before succumbing to their awful fate. Thankfully, the majority of people do not support this industry at all, but of course, there are more than enough who do. What is definitely one of the most disgusting problems, is that so many of the dogs that wind up at the meat market are pets. Either lost, abandoned or even stolen. These are family members who once had names, who are house trained, can sit on command, can shake paws, can do so much, yet now are sentenced to death, by the most horrendous methods, and consumed. Yulin Dog Meat Festival is of course notorious worldwide, but despite outcries of disgust from other countries, and thousands upon thousands of Chinese Citizens, it still takes place every year. Including this year. During this festival alone an average of 12-15,000 dogs are killed by these methods and consumed. That is 1,200-1,500 on average a day, just at this festival. And outside of the festival, the dog meat trade can still be seen in even the most advanced cities. Here in China however, there are pockets of people all over the country trying to do something about it, and stop what we can. Foreigners and Chinese Citizens alike. With the Chinese social media app, WeChat, we have been able to connect and support each other, even though we may be miles apart. We all have our own stories of how we got started, but our passion, aims, and beliefs, are very much shared. We decided to work together to try and give as many dogs as possible the chance at having their happily-ever-after. Sometimes we are able to find great homes in China, but sometimes certain dogs really do not stand a chance at getting re-homed there. Having the opportunity to work with a place like Carter’s Forever Rescue and Shelter is a life-line for some of these dogs. Dogs which have been abused beyond anyone’s reckoning, dogs which really shouldn’t want to be anywhere near the human race yet time and time again amaze us with their forgiveness. THE FLIGHT AND PREPARATION FOR ONE DOG TO FLY TO CANADA IS BETWEEN $500 AND $600. IF YOU ARE INTERESTED IN DONATING DIRECTLY TO ASSIST IN RESCUING THESE DOGS FROM CHINA, FUNDS CAN BE SENT TO Tigerlilly126@hotmail.com OR CONTACT US AT CARTER’S FOR ADDITIONAL INFORMATION. EVERY LITTLE BIT HELPS. THANK YOU! 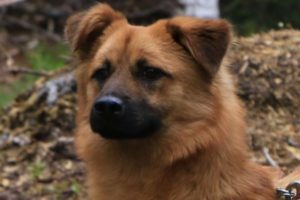 6 Responses to "China Dogs"
Interested in fostering or adopting Skye. I am currently living in Hangzhou China. How do I volunteer? I personally have met these amazing girls,wonderful ,caring dedicated people,they truly are very special and as a rescue our selves,Jellys place here in America,California to be exact, I could never witress the cruelty and torture, and slaughter of these animals or any animal for that matter that these girls are fighting to prevent and see every day .I can’t even believe that this is allowed and done in such cruel ways ,what I’ve recently been told and shown regarding the brutal slaughter or these animals has angered me and made me grateful that I live here in the United States Of America,where we have laws and justice for all living creatures and laws that protect animals and prosecute these ungodly barbaric acts of murder just because it is a delicacy. Hello. I picked up a stray dog in Hangzhou and I would like to find a shelter where I can take her. I wish I could keep her, but I am only here for a year and don’t want her to be homeless when I leave. Please can someone assist me by helping me find a place to take her. She is a beautiful small dog. Please fill out the form on the contact us section of the website and include a way to contact you. Thank you.